Nothing seems more real than the minds of other people. When you consider what your boss is thinking or whether your spouse is happy, you are admitting them into the "mind club." 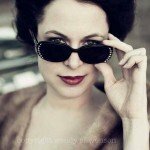 It's easy to assume other humans can think and feel, but what about a cow, a computer, a corporation? What kinds of mind do they have? Daniel M. Wegner and Kurt Gray are award-winning psychologists who have discovered that minds--while incredibly important--are a matter of perception. Their research opens a trove of new findings, with insights into human behavior that are fascinating, frightening and funny. The Mind Club explains why we love some animals and eat others, why people debate the existence of God so intensely, how good people can be so cruel, and why robots make such poor lovers. By investigating the mind perception of extraordinary targets--animals, machines, comatose people, god--Wegner and Gray explain what it means to have a mind, and why it matters so much. Fusing cutting-edge research and personal anecdotes, The Mind Club explores the moral dimensions of mind perception with wit and compassion, revealing the surprisingly simple basis for what compels us to love and hate, to harm and to protect. The Mind Club is an amazing book. It’s the sort of rare non-fiction book a reader can just eat up like its brain candy, filling one’s mind with so much useful information on psychology, neurology and that ever elusive understanding of self. The authors, Daniel M. Wegner and Kurt Gray, are fabulously witty, writing in a surprisingly entertaining voice on often complex subjects. Their ability to make science accessible – and fun – puts this book in its own league. 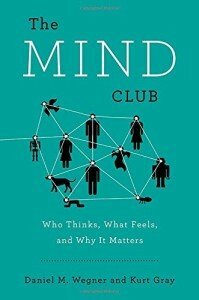 The Mind Club: Who Thinks, What Feels, and Why It Matters is a sweeping assessment of human perception, full of insights into how our minds and viewpoints are shaped – and susceptible to manipulation. The authors draw from a wealth of scientific research, presenting findings in the context of real-world examples. Through the course of an excellent narrative, the two psychologists explore issues of perception related to groups, enemies and the other, and why some people are punished more than others – plus a lot more. 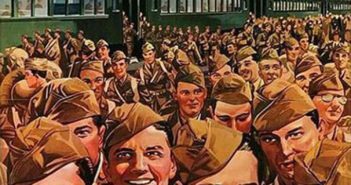 While The Mind Club was not written for communications professionals, there is much the counter/propagandist can learn from it – such has how being reminded of morals can induce people to immediately behave better. The reader will also be left to ponder the horrifying implications of the scientifically proven fact that humans have no real free will at all – and perhaps how that might compound any ethical dilemmas in an industry using influence to achieve its ends. The audiobook narrated by David Marantz is particularly well done. David reads the book as if he wrote it – making the telling delightful. Definitely recommend reading this one – you will enjoy it! The Mind Club: Who Thinks, What Feels, and Why It Matters is available on Amazon.